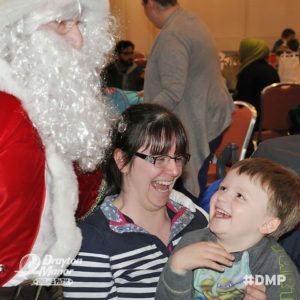 Tuesday 6th December saw 1,750 children and over 900 adults visit Drayton Manor Theme Park, as part of KidsOut’s second annual Big Day Out. Now in its second year, the KidsOut Festive Fun Day will take place every year on the first Tuesday in December. Designed to be a second day out for children six months after the long established National Rotary KidsOut Day, which happens on the second Wednesday of June each year, and now in its 26th year. 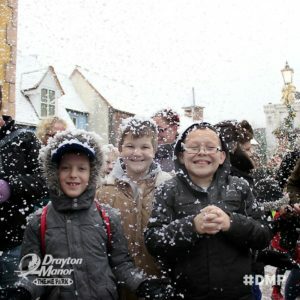 Drayton Manor granted exclusive access for KidsOut, with 1,750 children from refuges, special schools and other groups and charities in the surrounding area visiting on this magical day. 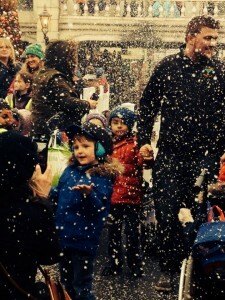 Children met Father Christmas and experienced snow at Thomas Land. 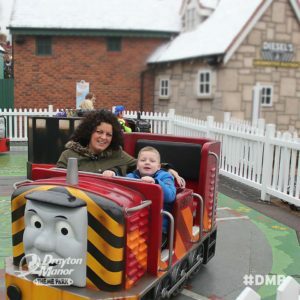 Founded by George and Vera Bryan in 1949, Drayton Manor Theme Park is one of the originating sites for KidsOut’s National Rotary KidsOut Day and is still managed by their son Colin. Before passing away in 2013, George Bryan identified involvement in KidsOut as one of his proudest achievements, and Colin is following in his parents’ footsteps. KidsOut has also been appointed Drayton’s main charity partner for 2017.